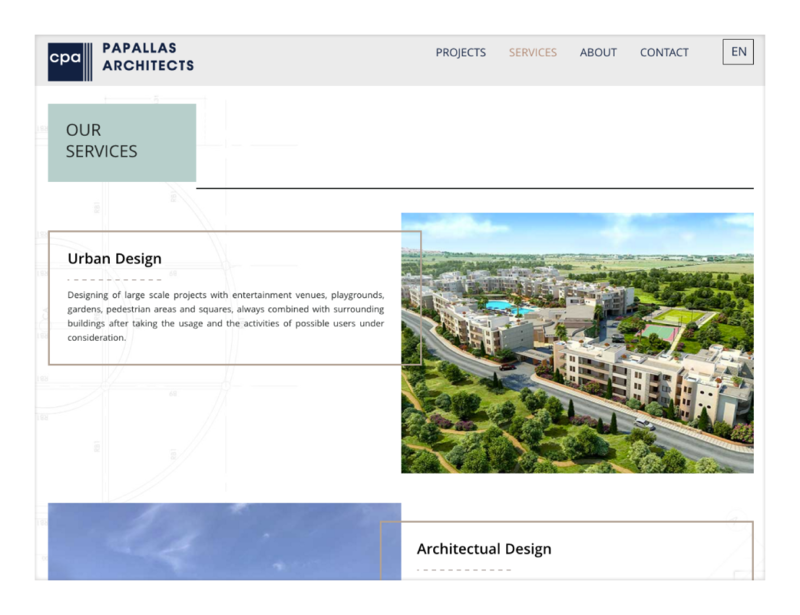 cpa PAPALLAS ARCHITECTS is a studio made up of highly creative and imaginative architects, interior, and spatial designers, committed to designing quality buildings and interiors which are socially, economically and environmentally friendly. A highly creative and established architect with attention to detail is usually hard to please and collaborate with. We are happy to report that this was not the case with Papallas Architects. Working with them was a breeze and the website was up and running in no time.